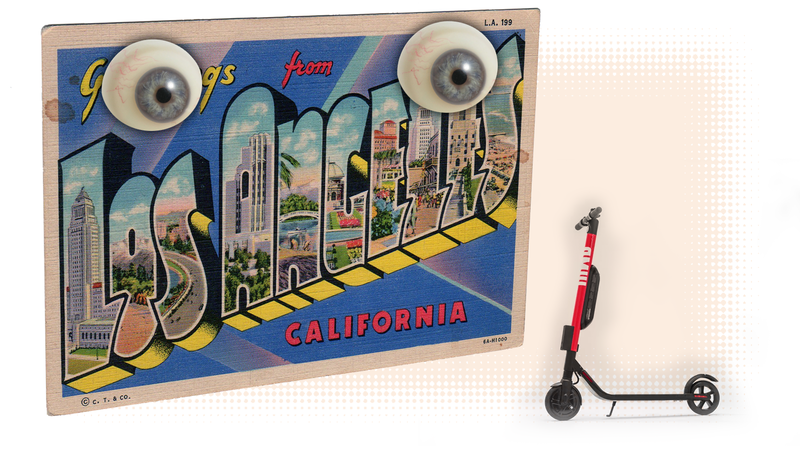 Los Angeles is very nosy about where people are going to be dorkily bopping around on e-scooters, and they’re not going to let companies sprinkle scooters all over the city unless the agree to play ball by providing location data to the Los Angeles Department of Transportation. Companies that have agreed to provide data have been given one-year permits, while those that have contested have been given provisional one-month permits. The data would be shared with data aggregator companies like Remix, which, unsurprisingly, is on board with LADOT’s decision. LADOT wants to know the start points, end points, and to determine that the scooters are parked legally, according to the permits of the companies and LADOT. This information seems fairly innocuous and could likely help the scooters from becoming a chaotic mess, but there are still privacy concerns. Part of me feels that’s a little disingenuous—Uber has a ton of personal data on its riders that it doesn’t exactly ignore. Los Angeles just wants a subset of that same sort of data. Still, more data in more hands means more potential for risk. Honestly, I’m not sure what the real solution here is—I think the data Los Angeles wants has valid use, and I know the right to privacy is a real concern. I don’t think Uber or Bird are altruists fighting for the rights of consumers above all, either. And it’s very clear that data of all kinds—location data, where people go, what they buy, etc.—is and will be a very lucrative venture in the years to come. But I’m pretty sure no matter what, some company will be in LA providing people with dorky scooters, so you can relax.